I have ordered cologne in the past with older scents and have been very disappointed. If it can't be a new product then I would not order it. 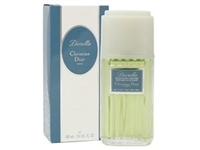 I am pleased to see Christian Dior still makes Diorella because I wore it on my Honeymoon 39 years ago and it was a great hit. I just want a brand new fresh bottle. Can this happen?